1. What would you bring to a deserted island (3 things)? 2. What is your favorite ice cream flavour? Lemon and chocolate. I really don’t like trying out new flavors. When it comes to ice cream, I always want the same and I’m always disappointed when they don’t have it. Sometimes, I add raspberry or walnut, or cotton candy. You definitely can’t satisfy me with vanilla or strawberry. I don’t know why but it’s just not for me. Chocolate ice cream with fresh strawberries tastes really awesome, though. 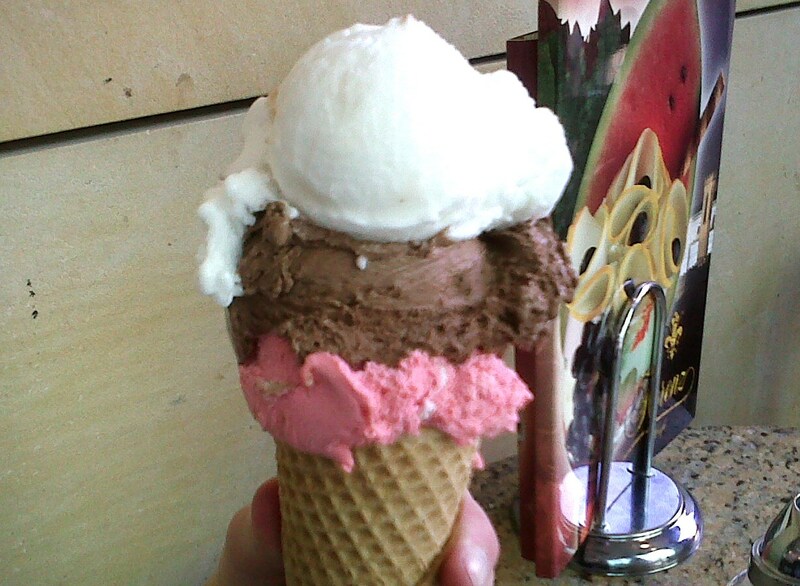 But I have to admit, on hot days like this, almost every ice cream flavour tastes good. 3. What is your favorite quote/saying? I know that it is often not such an easy thing to do, but there is a lot of truth in it. If there is a bad relationship, you regret having wasted time with the other person. But there are reasons why this relationship existed in the first place – reasons that probably made you smile. If there is something that is completely awful, then regret it. But if there is something, even the tiniest bit, that made you smile, it is something that you shouldn’t regret. No, I don’t think there is something positive in everything, but a smile should never be regretted. 4. What was your first cd? It was the Pocahontas soundtrack and I bought it myself. I remember being at the PX with my dad and my brother and I wanted to buy two cd’s. But then, I saw a little dog figure that I wanted to buy for my mom, so I put one cd back. 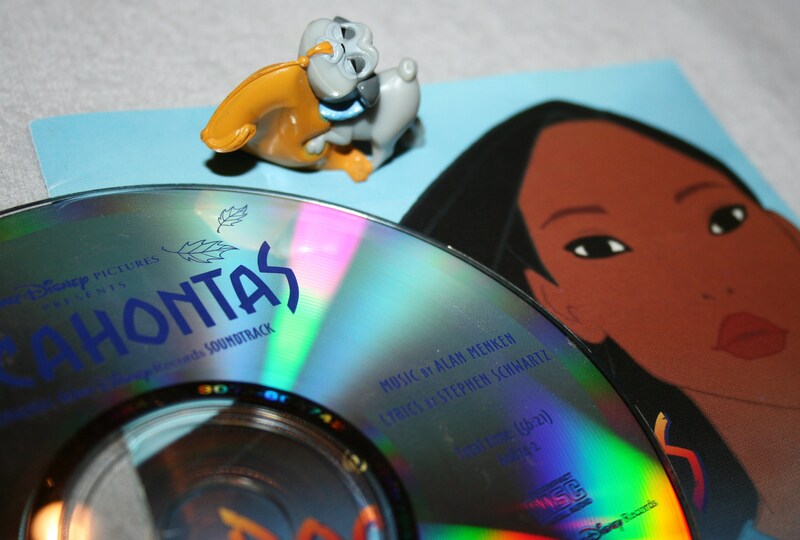 Of course, I bought the Pocahontas cd. Disney always wins. It is one of my favorite movies and one of the best Disney soundtracks. I love to listen to it and I used to sing ‘Colors of the wind’ over and over again, when I was a child. It’s message is beautiful! Some people say that I always seem so strong, tough and confident and that they don’t believe me to be afraid of anything. Well, they are wrong – Spiders! I have to admit, I did work on my fear of spiders, over the years. I have a basement room and always have to deal with this problem. After all these years tough, I get so mad when I see one that I just want to kill it, instead of starting to scream and waiting for someone to come. Being alone outside in the middle of the night. I think most girls don’t feel too comfortable being outside in the middle of the night. Seriously, there so many sick people out there. You never know what or who is waiting just around the corner. And overall, I’m just a very paranoid person. Horror movies are horrible. Don’t try to watch a horror movie with me, if you want to sleep. Not gonna happen!!! And then there are sharks. When I see them on tv, I get a really strange feeling, every time. One of the reasons I’m not such a huge fan of oceans. And don’t even get me started on exams. I’ve been working on this for years now, but it has only gotten a little better. It always depends. 6. What are you currently doing? Currently, I’m a student at the University of Mainz but I just finished all my classes and now, I’m enjoying my free time. Everyone expects me to be sad or afraid, but actually, I’m really happy that’s it’s almost over. 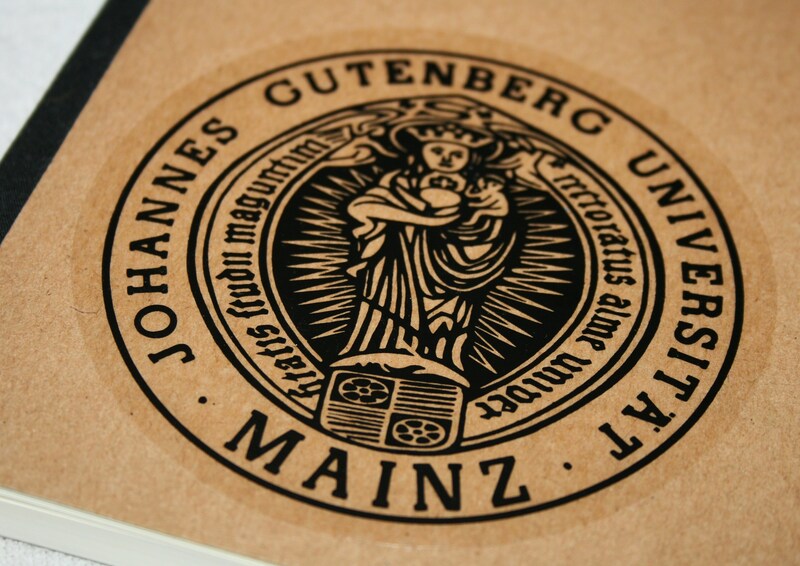 And I’m really looking forward to writing my MA-thesis and finally get my master’s degree in American Studies. But for now, I have a lot of free time, since I don’t have a new job, yet, and I am enjoying it, very much. First of all, I have to write my MA-thesis and get my master’s degree. If everything works out as planned, I will be done with everything in spring 2014. Then, I will enjoy my summer and fly to the States in fall, in order to work as an AuPair. What happens after that, time will show. I always wanted to become a journalist but I know that it won’t be easy. I still hope to meet the right people somewhere that will offer me a chance. I’d prefer something in the US because I never planned on staying in Germany. I would also love to write and publish books or become professional blogger. I guess, everything that involves writing is the right thing for me. But I don’t want to be too narrow-minded. I just want to find out what life has to offer and maybe, something is good is waiting for me, somewhere. Who knows?! Maybe at some point, luck will finally find me and reward me for my hard work. How am I supposed to answer this question? There are just sooo many books that I love. I’ve been a bookworm, all my life and I pity every person who doesn’t read. You are missing out on sooooo many wonderful written words! Sometimes, it’s just the best thing in the world, to dive into another world and meet interesting characters. Without books, there would definitely be something missing in my life. But what is my favorite? 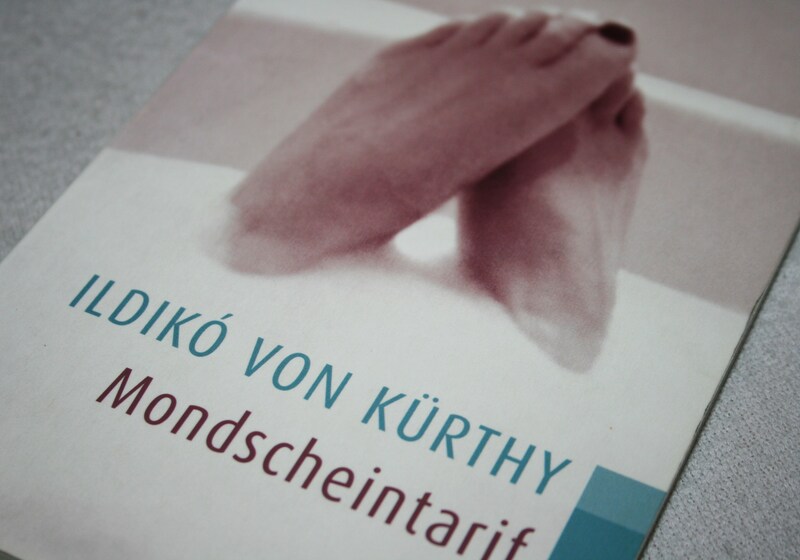 It’s called Mondscheintarif and was written my Ildikó von Kürthy. It’s about a woman in her thirties, who waits for a guy to call her after a date. What I love most about this book and all her other books, is the fact that every woman can relate to the main characters. Ildikó von Kürthy writes with such great humor that I always have to laugh, really hard. It was translated into 30 languages, so maybe, you’ll find it in yours. I really don’t think that I can answer this question with only one answer. I really have to name at least five. Although, if someone would force me to name only one, I’d probably say Dirty Dancing. So cliché. ;) It used to be my mothers favorite movie, as well. She probably was the one who made me watch it for the first time and I loved it, from the start. The music, the dancing , the whole story…I don’t know many women who wouldn’t agree. Aside from that, I have to name Cruel Intentions, The Beauty and the Beast, Clueless, 10 Things I hate about you, Pocahontas and The Nightmare before Christmas. 10. 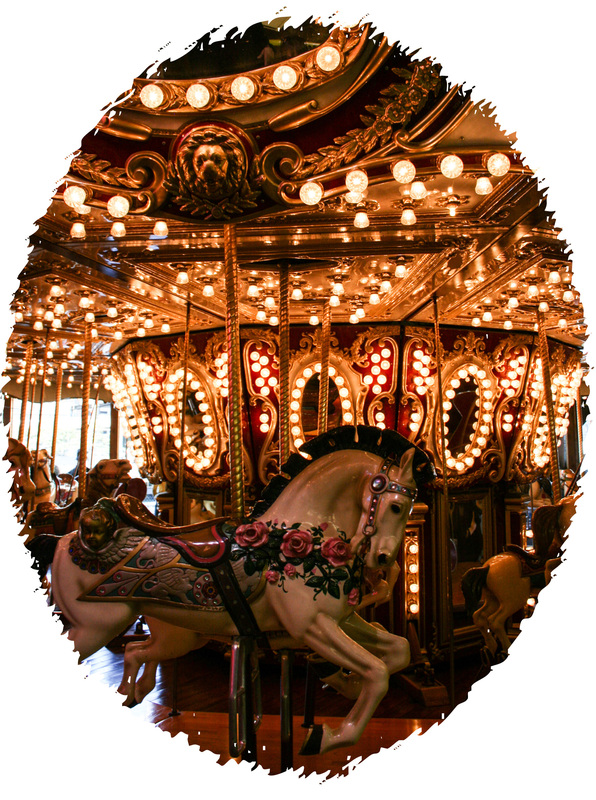 If you could turn back time, would you do something differently? Well, probably not. I mean, I often look at photos and think: What the hell am I wearing? ;) But aside from that, I can truly say that I was always the person who I wanted to be. And believe me when I say that I know how hard it is to be yourself. Fitting in is always the easiest way, but in my opinion, it is the wrong way. I still have to deal with people who don’t want to accept me the way I am and I let them. If people don’t like me for who I am then I don’t need them. Nobody needs such people. We all have made some mistakes but gladly, I can say that mine were pretty minor. So no, I can’t think of anything big that I would do differently. This entry was posted in Questions and Answers and tagged bff, deserted island, Dirty Dancing, Disney Obsession, future, ice cream, Master's degree, Mondscheintarif, personal, Pocahontas, questions, spiders, student. Bookmark the permalink.